Professor of History, David Hackett Fischer, has long been known for his book, Historians’ Fallacies, in which he amasses copious examples of fallacious historical analysis and argument committed (at least on occasion) even by otherwise highly reputable historians. Unfortunately, critical fallacies that he identifies as periodic blights on the work of his peers are standard practice among works of theologians writing about Christian origins. The fallacy of the prevalent proof makes mass opinion into a method of verification. This practice has been discovered by cultural anthropologists among such tribes as the Kuba, for whom history was whatever the majority declared to be true. * If some fearless fieldworker were to come among the methodological primitives who inhabit the history departments of the United States, he would find that similar customs sometimes prevail. There are at least a few historians who would make a seminar into a senate and resolve a professional problem by resorting to a vote. . . .
Shelly Matthews (also a theologian but who seems to be one of the relatively few who happily demonstrates a clear understanding of sound historical-critical method and writes history with a clear understanding of the philosophy undergirding her approach) admits she stands against what has been the traditional consensus of her peers over the historical value of Acts. Biblical scholars employing methods of historical criticism do recognize that the coherence of various aspects of Acts is ahistorical, imposed by Luke upon his sources because of his theological concerns, his apologetic tendencies, and/or his aim to delight his audience. 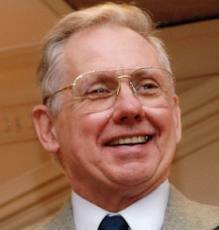 For more than two hundred years, historians of Christian origins have approached the book of Acts presuming that its author’s intrusive hand can be pulled away, freeing his sources to bear unencumbered witness to the historical events that occurred in the earliest decades of the church. Applying methods captured by metaphors of winnowing and digging, they have attempted to distinguish Acts’ redactional/theological/fictional elements from the actual history presumed also to reside in the text. I was introduced to the work of Shelly Matthews through the Acts Seminar Report. She is one of the Seminar Fellows. 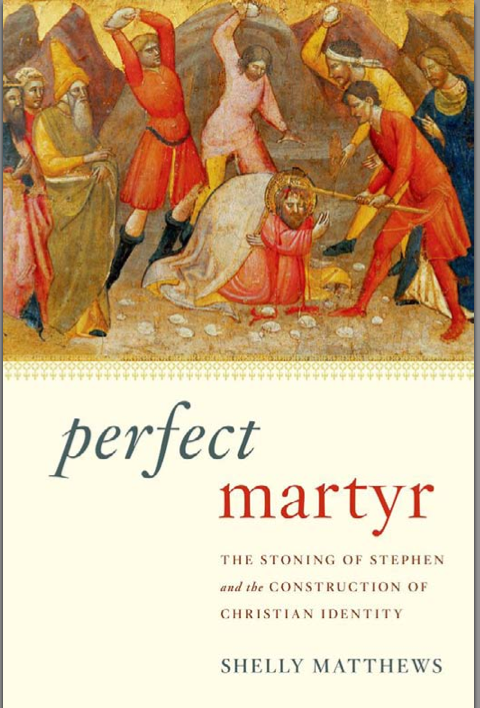 I have since read — and enjoyed very much — her historical study Perfect Martyr: The Stoning of Stephen and the Construction of Christian Identity. Shelly Matthews is one of the few theologians I have encountered who demonstrably understands the nature of history and how it works and how to apply historical-critical questions to the evidence. She is a postmodernist (and I’m not) but I won’t hold that against her. At least she understands and applies postmodernist principles correctly — unlike some other theologians who miss the point entirely and resort to trying to uncover “approximations” of “what really happened” behind the fictional (and ideological) narratives in the Gospels and Acts. How else to explain the sudden propulsion of Jesus followers beyond the limits of Palestine? How else to explain the conversion of Paul? Those are the twin (prima facie) arguments that have assured scholars that the Stephen event is historical ever since they were made explicit in the nineteenth century by Eduard Zeller (son-in-law of F. Baur). Following from The Hellenistic-Hebrew division in Acts – 1 . . . .
Or the same author or redactor who made a botch of trying to reverse the traditional order known to Mark and Matthew of Jesus appearing first in the Capernaum synagogue and later facing opposition in his hometown — an attempt that led to a number of anomalies and loose ends in his narrative — finds himself in Acts in something of a similar pickle with the way he attempts to explain a persecution event that is quite implausible historically with incompatible fictions. Or I am sure there are any number of other alternatives but I’m only counting to two for purposes of this post. In this post I explain the argument for the first option as it appears in Paul and James by Walter Schmithals and conclude with a few thoughts from the alternative argument. For Schmithals there is “no doubt for his account of Stephen’s martyrdom . . . Luke is making use of an existing tradition.” The reasons? The mention of the Hellenistic Jews who dispute with Stephen (Acts 6:9) is not accounted for by anything that has preceded (Stephen himself is not introduced as a Hellenist Jew).